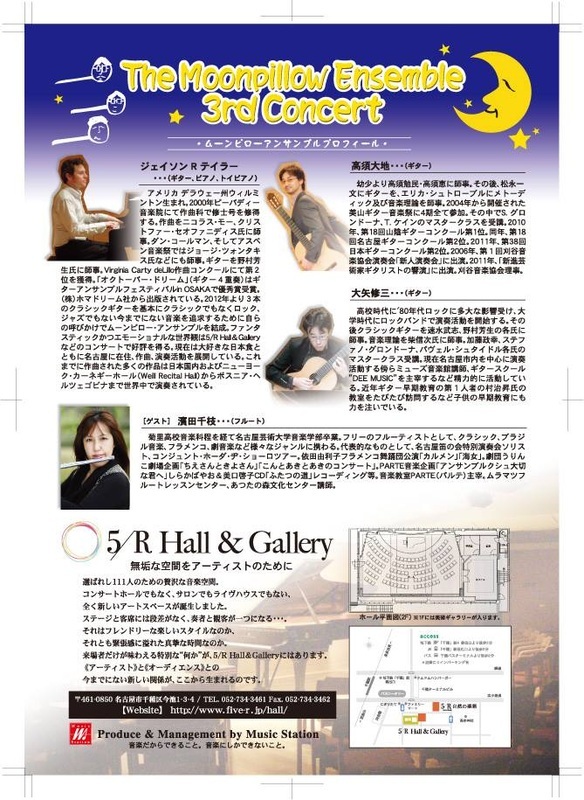 to coincide with our third concert at the 5/R Hall & Gallery. 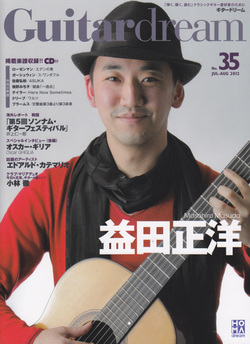 recording of "Here Now Sometimes"
The Moonpillow Ensemble's recording of "Here Now Sometimes" by Jason Taylor is included in this summer's edition of Guitardream along with the sheet music. 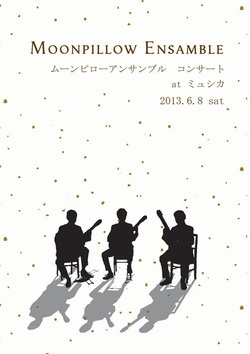 recording of "Don't Forget your Umbrella!" 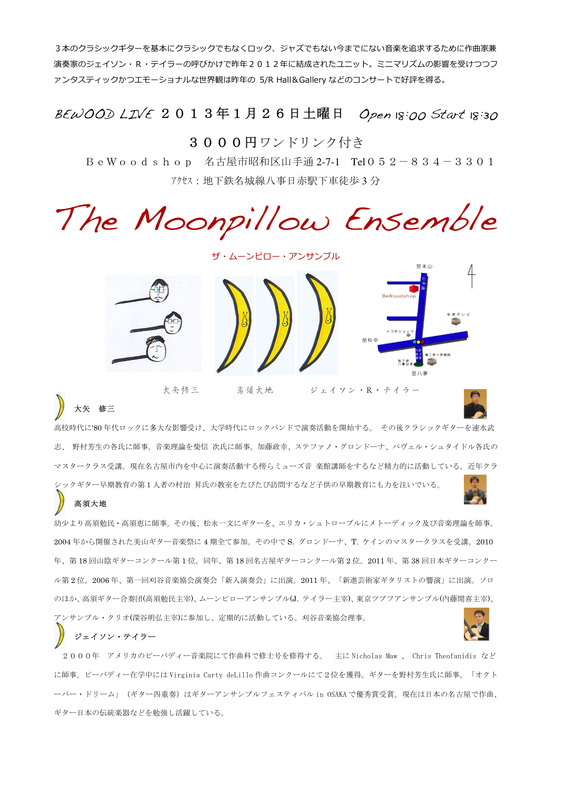 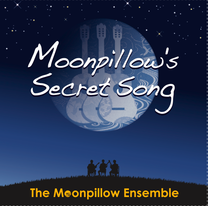 The Moonpillow Ensemble's recording of Jason Taylor's "Don't Forget your Umbrella!" 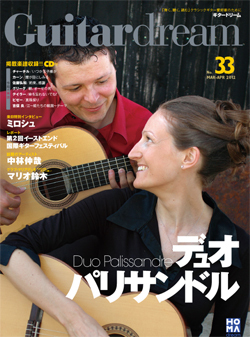 is included in the March/April 2012 Issue of Guitardream(No.33), a bimonthly classical guitar magazine published by homadream in Tokyo. 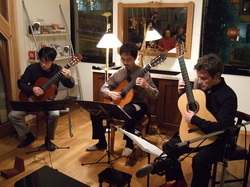 AT THE 5/R HALL & GALLERY.